Stung! was among last year’s offerings for our Adopt-A-Book program. Adopt- A-Book welcomes you to help the library build its book collection. Come in and check out our display and choose a book to donate to the library. (Goes until December 24th!) In Stung! 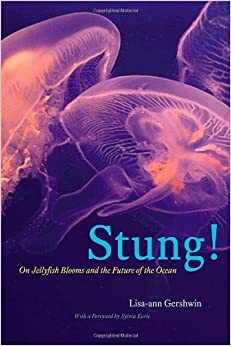 On Jellyfish Blooms and the Future of the Ocean author Lisa-ann Gershwin takes readers back to the Proterozoic era, when jellyfish were the top predator in the marine ecosystem—at a time when there were no fish, no mammals, and no turtles; to the current population bloom of the tenacious species. The story of the jellyfish, is also the story of the world’s oceans, and Stung! provides a unique and urgent look at their inseparable histories—and future.